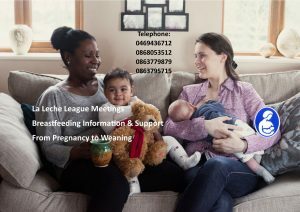 This venue is the community space in the Living Hope rooms beside the Haggard Inn, about 80 meters from the public library which hosted our meetings previously. There is FREE PARKING at the rear of the building and a large car park across the road, behind James Griffin premises. Join us for a cuppa at the start time. The meeting afterwards is informal and open to anyone attending to join in the chat or not, whatever make you most comfortable. There is usually a theme for meetings, though you will get a chance to ask questions. 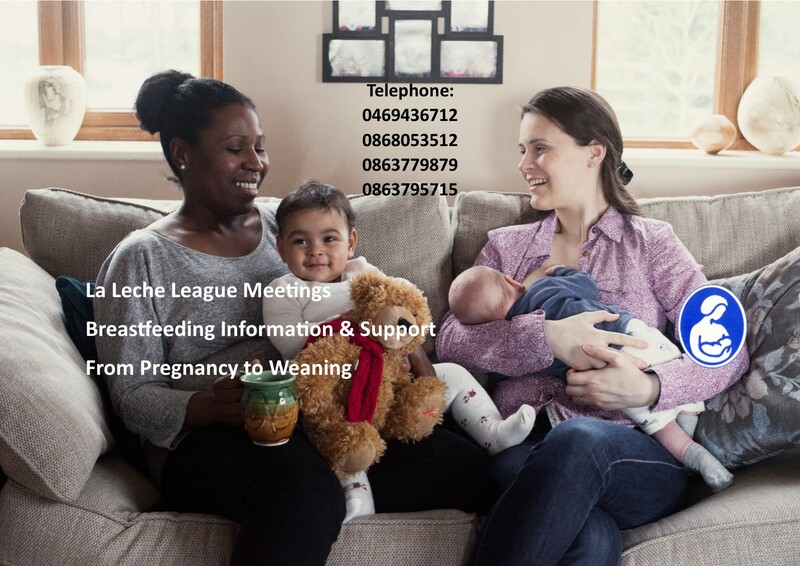 Information sheets are available, and The Womanly Art of Breastfeeding can be borrowed or is for sale for only €15. Meetings are free, though we are delighted to receive donations to help with running costs. Hope to see you – and baby or bump – there!